2018 has been a particularly difficult year for South African consumers, with the first VAT increase, the price of petrol constantly on the rise and in October, we saw a peak that made history, clearing existing debt is possibly the best way to keep your head above water. Easier said than done, right? Not necessarily. We’ve compiled a list of 6 tips to help you pay off all your debt fast. Use colour coded sticky notes and write down each account on a separate one. Include the total amount of the debt owed on each account. Use the colours to distinguish the important debt from the less important debt. For example, use a red sticky note to group the most important debt like your bond, personal loan, vehicle finance, etc. Use a different colour, like orange, to group the less significant ones like small clothing accounts. Don’t let the numbers scare you, the point of this exercise is to understand the magnitude of your debt as a whole. Once you know what’s important and what’s not, start with the important list and sort them out according to the highest interest rates. These are the ones that you should focus on first. Delaying these payments will only cause for the interest to keep increasing. If you finish one big one, you can split that payment amount across two or three different smaller accounts, which will help you in the long run. If possible, move your debt around. Look for accounts with more favourable terms, like lower interest rates and then use the credit on that account to settle debt on an account with less favourable terms. If you choose to do this, remember to enquire about any confusing details and thoroughly read through the terms and conditions of these accounts. The last thing you need is to be surprised by any hidden charges. If your account is in good standing, you could negotiate with your credit providers. See if it is possible to increase your limits to an option with the lowest interest rate. Always ensure that you’re making use of the cheapest option available to you. If you need help consolidating your debt, simply fill out our contact form and we will call you back for a FREE debt assessment TODAY! Its 2018, which means that the days of people walking through your garage to get rid of things that you no longer need is long over. Utilize apps and websites that are at your fingertips, such as Gumtree, OLX, Bidorbuy, Facebook Marketplace, etc. If you’re travelling to work with your car every day, you can try using public transport instead. You could save quite a bit of money by incurring a little bit of inconvenience. By cutting costs and adjusting your lifestyle a little bit, you might be able to reap the benefits of having less debt in the long run. Take a look at how you spend your money and start analysing your spending habits. Print out a bank statement from the previous month and look at what you are spending your money on. Certain things are non-negotiable, like paying rent or a bond, but there are other things that you could tweak and possibly spend less on. If you’re buying lunch at work every day, you could probably cut down that portion of spending by 80%, if you prepare lunch instead. Try the 50/30/20 budget rule to get the most out of your money every month. If you currently have a gym contract that you’re no longer using, see if it would be worth it to pay a cancellation fee and cancel your contract. Check in on your network, insurance or internet providers too. They might have promotions running and you might be able to opt-in on a better deal. If you are saving for a rainy day, but you are drowning in debt, perhaps this is your rainy day. Clearing your debt, will allow space for you to save even more, once all the little accounts are paid up. Most times the interest earned on your savings is significantly less than the interest that borrowers charge on credit. This means that you could save more money by ensuring that your credit is paid up. Note: sometimes credit providers will charge a penalty fee when you settle your account before your credit term is over. Check in on this before you decide to pay off an account and find that this option isn’t the most viable. 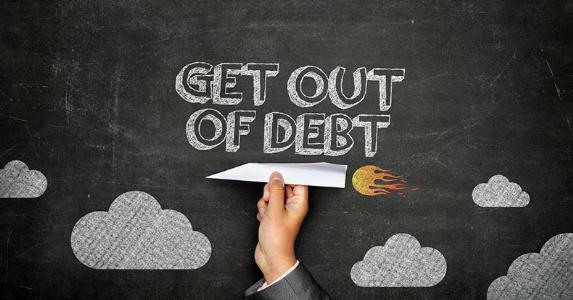 If you are struggling to keep up with your debt repayments, and these options are not available to you, perhaps it’s time to look into debt intervention methods. Debt counselling, debt review and debt consolidation are just a few options available to South Africans. These interventions help reduce your debt by lowering your interest rates and consolidating all of your payments into one payment per month. Simply complete the contact form for a FREE debt assessment to find out which of these options are available to you.